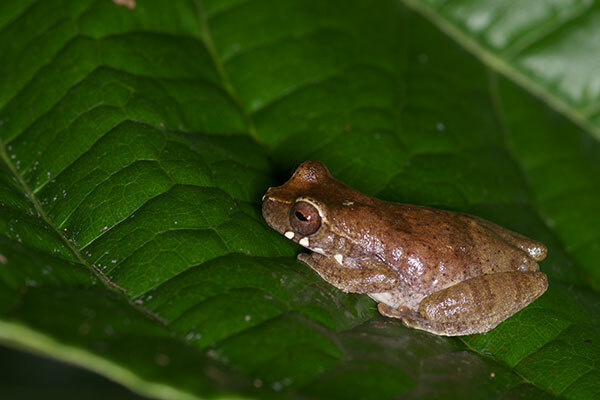 This small treefrog came out at night on the plants right along the edge of the Madre Selva camp clearing. 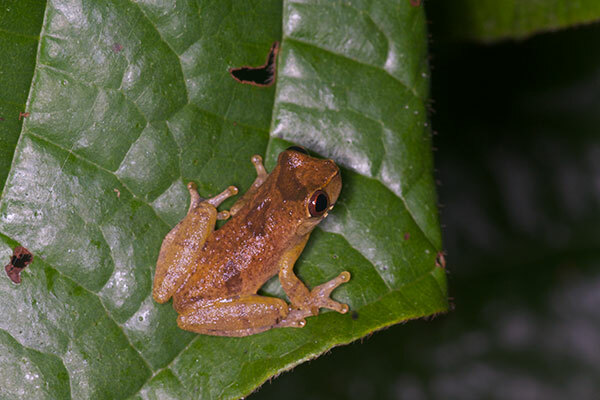 They look a lot like a slightly more interesting version of Dendropsophus leali. 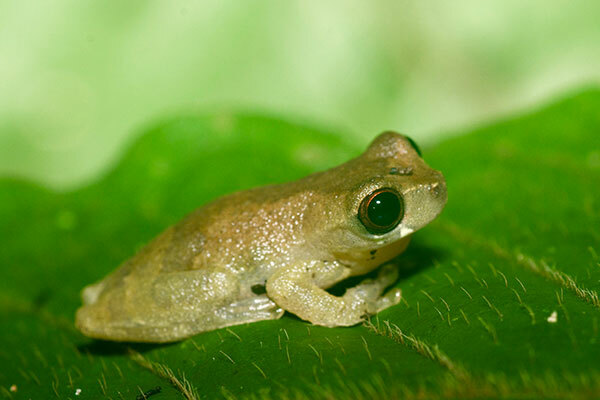 A different individual from the same little colony of these frogs at the edge of the Madre Selva clearing. 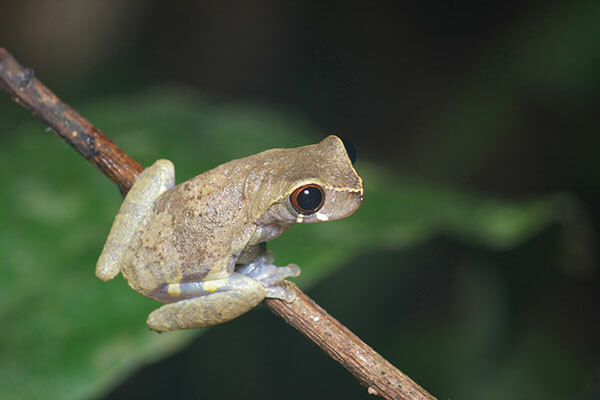 The most easily seen distinctive mark on this species is the pair of white marks between the eye and the upper lip. Other closely related species have only a single white mark, or no white marks.